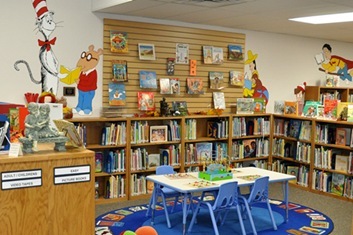 The Thomas-Wilhite Memorial Library strives to provide quality programs for children of all ages. Your child is never too young to be introduced to the library and the joy of reading! All of our programs are free and open to the public! This 45 minute program is designed for children 2-4 years old. A weekly theme is explored through books, songs, action rhymes and crafts. The fun takes place every Wednesday that P-T school is in session at 10:30 AM. This come-and-go program is designed for school-age children looking for a way to unwind and try new hands-on activities. Every Thursday from 3:30-5:00 PM when P-T school is in session. The second Thursday of every month will be reserved for creative play with LEGO Lab. Activities will vary. Children age 8 years and younger must be accompanied by an adult. Learn more about the Library's Summer Reading Program.